Opening weekend $2.501 million on 524 screens. Won for Best Picture; Best Director; Best Supporting Actress-Jennifer Connelly; Best Screenplay. 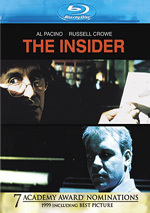 Nominated for Best Actor-Russell Crowe; Best Editing; Best Makeup; Best Score-James Horner. Often it appears that Oscars go to their recipients based more on prior work than for the film in question. For instance, few doubted this occurred when Paul Newman won Best Actor for The Color of Money. While Newman did offer a strong performance, this award appeared to come mainly as recognition of his long and consistently strong career. I got the feeling that A Beautiful Mind took home the Best Picture Oscar for 2001 due to that factor. Actually, the nominees included a number of folks one could claim deserved that kind of career recognition. Both David Lynch and Robert Altman received nods for Mulholland Drive and Gosford Park, respectively. Those films capped extended and productive careers. However, many perceive Lynch and Altman as filmmakers who don’t work within the mainstream, which seems accurate; a glance through their résumés finds very few movies that appear palatable for a general audience. Should the Academy hold this against them? No, but we all know that Oscar prefers fare that takes moderate positions. The filmmakers of Mind met that concept in every way. I go for the plural of “filmmaker” because I think the presence of two folks helped ensure Mind would win. Not only could the prize offer recognition of director Ron Howard’s decades-long career - including his time as an actor - but also it functioned as a way to applaud producer Brian Grazer. Both have created a slew of good flicks over the years. Do any great pictures reside on their résumés? 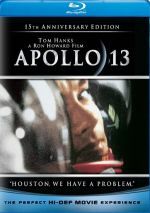 No, though I did really like Apollo 13, which I felt should have beaten Braveheart for 1995. Otherwise, they’ve made many good but unexceptional films, both together and apart. Should Oscars be given to honor a track record and not the movie in question? No, but that’s obviously what happens, and I think that’s largely why A Beautiful Mind beat out contenders like Park, Drive and The Lord of the Rings: The Fellowship of the Ring. Not that I felt Mind was a bad film, however. In fact, I enjoyed it quite a lot more than I expected. By no means did I consider it to be a great piece of work or something that merited an award as Best Picture, but Mind provided a generally compelling and satisfying experience. Mind tells the semi-fictionalized story of Nobel Prize-winning mathematician John Nash. Played by Russell Crowe, we first meet Nash as he starts grad school at Princeton in 1947. Quickly we learn of his brilliance and also his quirkiness; as he states, he doesn’t much like people, and they don’t like him, though he does become good friends with his roommate Charles (Paul Bettany). We watch Nash’s progression as he develops a terrific theory and gains a prestigious placement at MIT’s Wheeler House. As part of his work, he must teach a graduate level class, and there he meets his match in student Alicia (Jennifer Connelly). While those two develop a romance, Nash works on a super-secret attempt to break Soviet code found in American magazines. This area puts him in contact with hard-boiled agent Parcher (Ed Harris) and places Nash in grave danger as he attempts to stop atrocities from occurring on American soil. Or does he? As the film progresses, we slowly learn how much of Nash’s reality exists and how much resides in his head. His schizophrenia becomes debilitating, and we observe as he and Alicia battle it so that he can develop his genius again. You get no points if you figure out in advance whether or not Mind will have a happy ending. Howard hasn’t exactly shown himself to be a pessimistic director over the years, and Mind does occasionally suffer from his light touch. However, I think Howard usually keeps things fairly honest. While Mind clearly could have been more intense and harrowing - and perhaps should have been to adequately capture schizophrenia – That said, Mind stays away from too many easy answers and solutions. Mind suffers from some superficiality, but that seems almost inevitable for a movie of this scope. It covers events from 1947 through 1994. That’s a lot of time, though it mainly focuses on the Forties and Fifties; the later decades almost become an afterthought. Mind does feel like a “Cliff’s Notes” version of Nash’s story, but again, that appears tough to avoid in a two-hour and 16-minute film. On the positive side, Mind moves at a good pace. Though it’s a long movie, it progresses rapidly; when I checked out the time counter on my player, I often was surprised to note how many minutes had passed. Howard keeps the action moving and makes this a brisk and involving tale for the most part. I also like the manner in which the film treats schizophrenia. Although a lot of parts seem suspicious - like the whole involvement with Parcher - Nash’s world is presented as fact. Some small clues exist to tip off the viewer that what they see doesn’t represent reality, but Howard never telegraphs these moments. That helps the film draw in the viewer, as we generally buy Nash’s side of things, and it makes the impact that much greater when we discover how off he really is. Mind boasts some solid acting, another factor that helps it succeed. Crowe seems laughably old to play the young Nash - the man was 19 in 1947, and Crowe was double that age! - and he also comes across as awfully buff for a math nerd; the scene in which he first meets Alicia shows a rather muscular man, which makes me wonder why we don’t ever see Nash at the gym. Nonetheless, Crowe succeeds more than he fails. He makes Nash quirky but not excessively mannered or twitchy, and he seems like a real person, not just a collection of characteristics Crowe read in the DSM. When actors play mentally ill people, they tend to fall back on the external issues too strongly, and their work becomes all about those mannerisms. Crowe largely avoids that, and he adds a depth to the role I didn’t expect. I also like what Connelly did with Alicia. The long-suffering but devoted wife is a cliché, and the part seems thin and underwritten here. However, Connelly brings life to the role and makes us think we know more about Alicia than we really do. Although I always thought she was a babe, Connelly never much impressed me in prior work; through films like Dark City and Pollock, I felt she usually seemed flat and stiff. Those concerns don’t arise during Mind, in which she appears almost shockingly natural. Ultimately, I have more positive than negative to say about A Beautiful Mind, though I still don’t think it offers a Best Picture-caliber experience. It generally offers an entertaining and acceptably believable look into the mind of a disturbed genius. It lacks some depth and grittiness, but it compensates with warmth and brisk pacing that make it more watchable and compelling. Trivia note: according to IMDB, Mind marked only the second Ron Howard film in which his brother Clint didn't also appear. For reasons unknown, Clint didn't act in 1988's Willow. But nepotism fans need not fear, for two other Howards - dad Rance and wife Cheryl - made the cut in Mind, and the director himself appeared in a bit part as well. 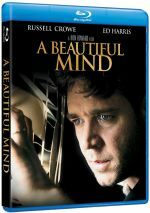 A Beautiful Mind appears in an aspect ratio of approximately 1.85:1 on this Blu-ray Disc. This was a mostly positive though erratic transfer. Sharpness seemed generally good but not great. Though definition was usually positive – and often quite strong – occasional sequences came across without terrific detail. This meant the movie remained well-defined most of the time but not with the consistency I’d like. No issues with jagged edges or moiré effects appeared, but edge haloes could be a bit of a distraction. While I didn’t think these were dominant, they cropped up on occasion and made the image a little tentative. Print flaws remained modest; I saw an occasional speck but nothing more. Parts of Mind featured a moderately stylized palette, particularly in the early parts of the film. Howard obviously tried to give it that golden glow typical of “period” flicks, and this worked well. Overall, colors looked reasonably rich and warm throughout the film. I didn’t think the stylization ever became oppressive, and the tones appeared acceptably vivid and vibrant to me. Black levels always came across as deep and dense, while shadow detail was appropriately heavy but never too thick or opaque; low-light sequences looked clear and distinct. This remained a nice transfer for the most part, though the edge haloes and occasional soft spots left it as a “B-“. I thought the film’s DTS-HD MA 5.1 soundtrack was perfectly serviceable and occasionally more impressive than that. Overall, Mind offered a track with a fairly heavy forward emphasis. Music displayed a good stereo presence, while effects created a modest but reasonably involving image. Most of the mix consisted of general ambience, but the audio did come to life decently on a few occasions. The majority of those dealt with Nash’s mental state. At times, the surrounds kicked in nicely, as we heard Nash’s thoughts swirl around the various speakers. Segments such as a thunderstorm and a car chase also showed good use of the different channels. Nonetheless, the mix lacked a great deal of ambition, though it remained appropriate for this kind of film. Audio quality seemed positive. Dialogue came across as natural and distinct, with no signs of edginess or problems related to intelligibility. James Horner’s score appeared bright and vibrant, and the music displayed good fidelity and depth. Effects usually were modest, but they still seemed clean and accurate, and they appeared clear and rich on the few occasions when the volume jumped. The soundtrack of A Beautiful Mind provided an unambitious but solid auditory experience that worked for the movie. How did this Blu-ray compare to the original 2002 DVD? Visuals were tighter, and audio seemed a little warmer. Flawed though it may be, the Blu-ray surpassed the DVD. The Blu-ray includes most of the extras from the original two-disc DVD. We start with two separate audio commentaries. One comes from director Ron Howard, who provides a running, screen-specific piece. Overall, Howard gives us enough useful information to make the track worth a listen, but it seems inconsistent. On the positive side, the director covers a lot of his intentions for the movie, and he also goes into the reality behind the fictionalized film and chats about working with the actors. He even acknowledges the absence of his brother Clint, who actually does appear in the film - sort of. However, Howard often repeats himself - the word “again” appears about a million times during his chat - and quite a few empty spaces occur. The track works well enough to merit a listen, as it contains a lot of good material, but it remains a mixed bag. The second commentary offers remarks from screenwriter Akiva Goldsman, who also offers a running, screen-specific track. Although he seems chattier than Howard does - fewer empty spots occur - Goldsman also provide less useful information. The writer delves into character development well, and he also offers some remarks about the facts behind the story and production notes. However, Goldsman frequently does little more than relate information that already seems obvious to us. I should note that the commentary improves as it progresses, though, and it appears reasonably interesting and informative for fans of the movie. 18 deleted scenes fill a total of 26 minutes, 52 seconds. All of the clips can be viewed with or without commentary from director Ron Howard. Some of the clips seem interesting. Actually, most of them appear interesting, but I think virtually all of them deserved to be cut. In his comments, Howard usually - but not always - discusses the reasons for the deletions, and he adds some other useful remarks as well. Most of the remaining features provide short featurettes. A Beautiful Partnership takes a five minute and 22 second look at the working relationship between Howard and Grazer. Mostly this consists of a joint interview with the pair; it shows some “talking head” shots of the two and also runs their dialogue on top of some film clips and behind the scenes footage. This program seems mediocre. The two cover a few interesting issues, but overall they present little insight into their partnership. Development of the Screenplay provides a more informative affair. The eight-minute and 16-second program offers interviews with Grazer and Howard but it mostly focuses on writer Goldsman. It uses the same format as “Partnership” except some of the film clips and behind the scenes shots provide audio of their own; they’re not all silent partners beneath the interviews. Goldsman gives us a good chat about the working process and collaborating with others that helps flesh out how they created this aspect of the film. During Meeting John Nash, we observe an encounter with the film’s subject himself. It includes some interview clips with Howard, but mostly we watch a videotaped chat between the director and Nash in which the latter discusses one of his concepts. That factor makes the eight minute and 27 second program fairly dry, but it remains cool to get a better look at the real person behind the film. We see more of Nash in Accepting the Nobel Prize in Economics, a 116-second clip from the 1994 ceremonies. This doesn’t present Nash’s speech. Indeed, the oratory he oggers in the movie doesn’t exist. This just depicts his formal receipt of the award. It’s a nice archival piece to have, but it seems bland. Casting Russell Crowe and Jennifer Connelly obviously discusses the actors. During the five minute and 56 second program, Howard and Grazer go over their casting and chat about what it was like to work with the pair. The piece includes some decent information, but it seems puffy as a whole, and it suffers from the absence of the actors in question. More interesting is The Process of Age Progression, a seven minute and 13 second look at that topic. It provides quick interview snippets from Howard and Grazer but mainly offers material from makeup creator Greg Cannom. He covers his subject well and tells us a lot of good notes about the subject. In addition, we see some fine test footage that demonstrates the work. Another valuable chat comes in Creating the Special Effects. Again, it provides a few snippets from Howard and Grazer, but the focus remains on visual effects supervisor Kevin Mack. He dominates the 10 minute and 46 second program as he discusses the material and shows us many examples of the work. It’s a good look at the way they integrated effects into a movie one wouldn’t associate with that medium. As one might expect, Scoring the Film focuses on the music of Mind. The ubiquitous Howard and Grazer pop up briefly, but we mostly hear from composer James Horner along with singer Charlotte Church. The five minute and 54 second featurette offers a few decent tidbits about Horner’s work, but overall it seems a bit bland and superficial. Inside A Beautiful Mind offers the standard promotional program typical of those seen on cable channels. The 22-minute and 33-second show combines movie clips, shots from the set and interviews. In the latter domain, we hear from Howard, Grazer, author Sylvia Nasar, Crowe, Connelly, Nash, Goldsman, Alicia Nash, Senator Paul Wellstone and Tipper Gore. The last two appear mostly in an official capacity to recognize the way Mind helped inform people about mental illness. While it was good to finally see the primary actors and I also liked the involvement of both John and Alicia Nash, this show remained superficial. Some of the comments seemed useful, and I enjoyed parts of the behind the scenes shots, but I felt the program rarely lost its promotional bent. Film clips dominated the show and made it watchable but lackluster. We end with a listing of organizations; that area shows links to schizophrenia related groups. The Blu-ray omits trailers from the original DVD as well as storyboards, an Oscar broadcast clip and some other text components. While I didn’t expect to care for A Beautiful Mind, I actually found it to offer a reasonably engaging experience. 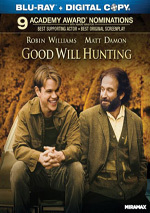 The movie suffered from some of director Ron Howard’s soppy tendencies, but it usually came across as a believable and compelling examination of one man’s battle with mental illness. The Blu-ray offers erratic but usually positive picture along with reasonably effective audio and a nice collection of supplements. This isn’t a great presentation, but it’s mostly positive.